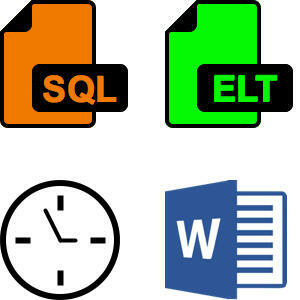 Ajilius offers Data Warehouse Automation at a price you could sign-off today. Not convinced? Take advantage of our free 14-day trial. Ajilius Data Warehouse Automation allows for the quick and cost- effective creation of star-schema data warehouses. 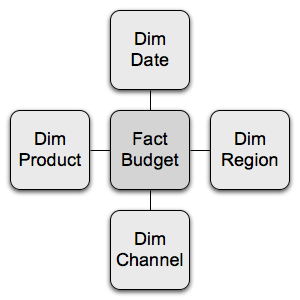 If you think a Kimball data warehouse should be possible within a realistic budget, then Ajilius is for you. Ajilius will save you time over development using standard ETL tools, and save you money over far more expensive Data Warehouse Automation solutions. Ajilius is a great, low-cost entry to Data Warehouse Automation that delivers the information you need - fast. 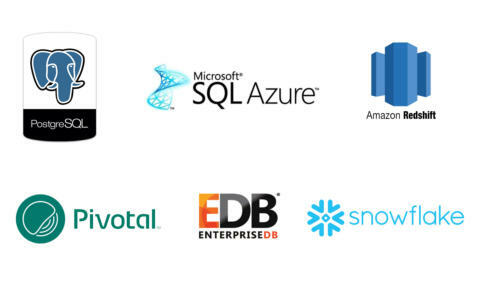 Seriously low TCO Ajilius delivers on the most modern data warehouse platforms - including Cloud-based and open-source databases:- • SQL Server (On-Premise & IAAS) (2008-R2 and after) • SQL Server Parallel Data Warehouse • PostgreSQL / EnterpriseDB • MariaDB Column Store • Exasol • Azure SQL • Azure SQL Data Warehouse • Snowflake Elastic Data Warehouse • AWS Redshift Use Ajilius to take advantage of these low/zero-cost, high performance, high-scalability and high-availability databases with best-practice code generated for each platform. Seriously fast ROI Ajilius represents the best value in the data warehouse automation market. We publish our pricing because we're proud of our value, and we've got the simplest pricing model in the market. One production server, one licence. Unlimited dev/test data warehouses. Unlimited sources. Unlimited users. US$15,000 per annum. You can choose from over 70+ CData connectivity drivers, so you can pull data from your favourite data sources straight away! Ajilius generates the metadata for Tableau, Qlik, Yellowfin and PowerBI, so go straight from source to report in hours. You get a 30-day period to try Ajilius before you buy, and don't pay until you're satisfied that Ajilius delivers the value we promise. Our ROI is so strong, you will easily recover your purchase price within your first project. Seriously fast delivery Ralph Kimball's star schemas are the fastest way of delivering business value. While other methodologies see the data warehouse as the destination, Kimball warehouses focus on the delivery of data to the end user in the best format for reporting and analysis. We're supported by great methodologies and practices that have been proven in thousands of data warehouses around the world. Ajilius fully supports star schema (dimensional) data warehouses. Seriously capable Ajilius generates the DDL and DML for all ELT/ETL processing, batch scripts, job schedules, user and technical documents. Ajilius also exports the metadata code for favourite BI tools - Tableau, QlikView, Yellowfin, and generates BI views for PowerBI and Excel. Ajilius is fast, consistent and error-free. You can deploy and test your generated deliverables through the Ajilius user interface, and they're packaged as scripts ready for continuous deployment and staged migration. Documentation is interactive, and always up to date. Lineage and dependency tracing is simple with diagrams to help your understanding and links to the documentation for deeper analysis. Easily migrate from development to production, across domains and data centers. Integrate our schedules with your existing operational standards and procedures. Need multi-tenanted data warehouses? Not a problem. Ajilius understands modern requirements like this and makes delivery of multi- tenanted solutions a breeze. Australian. Seriously. 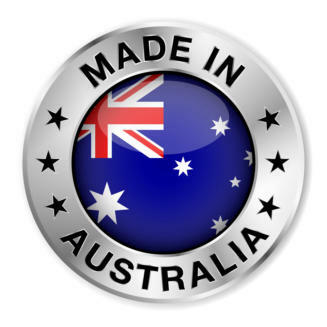 Ajilius is 100% Australian-owned and operated. This offers enormous benefits for our Australian customers: Support in the same time-zone, nothing is ‘lost in translation’, and of course, no profits are exported overseas. We take great pride in working with and supporting Australian-made technologies (like Yellowfin BI and QFire ) wherever we can. We hope you will too. Ajilius makes it easy for you to get started with Data Warehouse Automation. In fact, we could not make it any easier! Simply click below to register and tell us about your data requirement. We will send you a free access log-in to our hosted Ajilius server where you can use our test data in a sandpit environment to learn and try Ajilius for yourself. Then, we offer you a 14-day trial license to try Ajilius with your own data - either on-premises or in the Cloud. Once you have built your data warehouse, all you need to do next is purchase a licence and you can go live with your new data warehouse. Seriously logical Describe the data you need, and trust Ajilius to write the code. Now you’re fully agile with the ability to quickly change your metadata and regenerate your solution in seconds. Fill in some simple forms to describe your data warehouse requirements. Browse your data sources and select the data you need. Press a button and Ajilius does all the technical work on your behalf. Ajilius’ metadata is completely database independent which is how we guarantee our unique three-click migration feature. You can build a data warehouse without writing a single line of code. Seriously transportable From SQL Server today, to Redshift - today! Ajilius is the only data warehouse automation platform that guarantees instant three-click migration between supported database platforms. Never worry about vendor lock-in when you can switch between platforms at will. In minutes, Ajilius will regenerate ALL your code and migrate ALL your data to your new platform. It will even regenerate your BI tool metadata too! 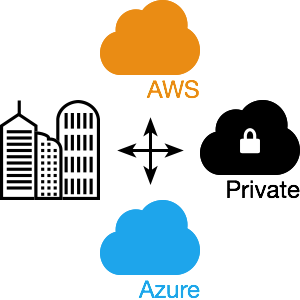 Whether you need more performance, trialling new platforms or if you're changing Cloud provider, Ajilius means that your data warehouse will never be left behind. 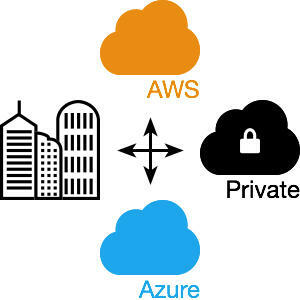 Cloud-to-Cloud or Premises-to-Cloud migration is a reality with Ajilius! You can even run multi-vendor, multi-site database platforms for the ultimate in data warehouse protection. Ajilius FAQ Q. What sets Ajilius apart from other Data Warehouse Automation tools? A. Ajilius is a web-based application and supports Cloud-based target databases, as well as on-premise DBs. It also offers 3-click migration of your Ajilius data warehouse between ANY of those supported DBs. Also, feature-for-feature, Ajilius wins hands- down on price. Q. How does Ajilius handle transformations? A. In several ways. There are ready-to-use functions built in to Ajilius, or you can add your own custom code. Q. What does Ajilius actually do? A. Ajilius creates a series of DDL and SQL scripts that fire code at your target database in order to build/load/transform your data warehouse. Q. How often can I run the scripts and how? A. As often as you like. You can use any scheduling tool (e.g. Control-M) to run them. Q. How fast and scalable is Ajilius? A. Ajilius creates SQL scripts - it is therefore as fast and as scalable as the DB platform on which your target data warehouse resides. Q. Does the 3-click migration really work? A. Yes! Ajilius will port your data warehouse from one DB platform to another in three mouse clicks (plus a little typing of database details). The only caveat is that if you have coded some custom SQL transformations, you may need to edit those to the dialect of your target SQL. Don’t worry - Ajilius tells you where they are. If you use the built-in functions, Ajilius does everything for you. Q. Can Ajilius manage a multi-tenanted data warehouse environment? A. Yes - all part of the original design. Q. Which BI tools can I use with Ajilius? A. You can use any BI tool, but if you use Tableau, QlikView/QlikSense, or Yellowfin BI, the Ajilius will generate the metadata layer for you in seconds, potentially saving you days of effort! If you use Microsoft PowerBI or Excel, then Ajilius will create BI Views for you as well! Q. Since Ajilius creates scripts, can I edit those? A. You could, but we do not recommend it. Any changes made will be overwritten once you regenerate your scripts. It’s best to manage everything inside Ajilius and let it manage your scripts for you. There really ought to be no need to manually edit any script that Ajilius generates. Q. Does Ajilius auto-generate documentation? A. Yes. A fully-hyperlinked documentation file (with a full dependency diagram) is created on demand. Q. How does Ajilius support incremental (delta) loading? A. Ajilius has its own column control method, or you can use any external method (e.g. SQL Server Change Data Capture). Q. Can Ajilius support loading of CSV files? A. Yes. It also offers other data connectivity via JSON and JDBC. Ajilius comes bundled with over 70 data connectivity drivers from CData, so you can pull data in from just about any data source. Q. I am a software developer and want to offer a data warehouse as part of my solution. Can Ajilius help? A. Yes! Ajilius offers OEM licensing at a price that makes it a no-brainer to use. 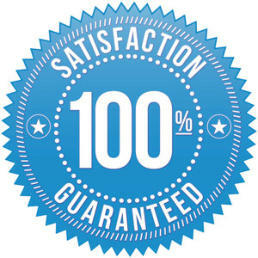 Call us to discuss your requirement. Q. Why is Ajilius so cheap? A. We are after market share - quickly. The price will go up, but if you buy now you can lock-in your price forever. Q. Can I become an Ajilius Reseller? A. Absolutely! Contact us today! Data Warehouse Automation - why do you need it? Because you need fast answers. Getting your data ready for Business Intelligence is the toughest part of the job, consuming up to 80% of your project’s budget. Wherever you data may reside, Ajilius gets it ready for BI in a fraction of the time and cost of any other method. Data Warehouse Automation tools from BIReady gives you the benefit of accurate information delivered - fast. Does your data lie in multiple sources? Are you massaging spreadsheets to build a simple report? Does anything data-related take AGES to do? Ajilius Data Warehouse Automation allows for the quick and cost-effective creation of star-schema data warehouses. 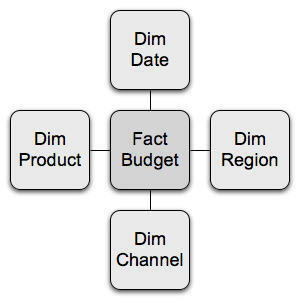 If you think a Kimball data warehouse should be possible within a realistic budget, then Ajilius is for you. Ajilius will save you time over development using standard ETL tools, and save you money over far more expensive Data Warehouse Automation solutions. Ajilius is a great, low-cost entry to Data Warehouse Automation that delivers the information you need - fast. 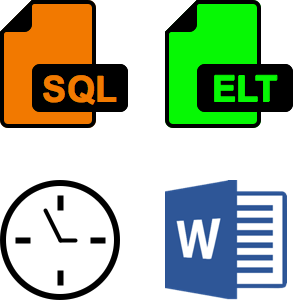 Seriously capable Ajilius generates the DDL and DML for all ELT/ETL processing, batch scripts, job schedules, user and technical documents. Ajilius also exports the metadata code for favourite BI tools - Tableau, QlikView, Yellowfin, and generates BI views for PowerBI and Excel. Ajilius is fast, consistent and error-free. You can deploy and test your generated deliverables through the Ajilius user interface, and they're packaged as scripts ready for continuous deployment and staged migration. Documentation is interactive, and always up to date. Lineage and dependency tracing is simple with diagrams to help your understanding and links to the documentation for deeper analysis. Easily migrate from development to production, across domains and data centers. Integrate our schedules with your existing operational standards and procedures. Need multi-tenanted data warehouses? Not a problem. Ajilius understands modern requirements like this and makes delivery of multi-tenanted solutions a breeze. Ajilius FAQ Q. What sets Ajilius apart from other Data Warehouse Automation tools? A. Ajilius is a web-based application and supports Cloud-based target databases, as well as on- premise DBs. It also offers 3-click migration of your Ajilius data warehouse between ANY of those supported DBs. Also, feature-for-feature, Ajilius wins hands-down on price. Q. How does Ajilius handle transformations? A. In several ways. There are ready-to-use functions built in to Ajilius, or you can add your own custom code. Q. What does Ajilius actually do? A. Ajilius creates a series of DDL and SQL scripts that fire code at your target database in order to build/load/transform your data warehouse. Q. How often can I run the scripts and how? A. As often as you like. You can use any scheduling tool (e.g. Control-M) to run them. Q. How fast and scalable is Ajilius? A. Ajilius creates SQL scripts - it is therefore as fast and as scalable as the DB platform on which your target data warehouse resides. Q. Does the 3-click migration really work? A. Yes! Ajilius will port your data warehouse from one DB platform to another in three mouse clicks (plus a little typing of database details). The only caveat is that if you have coded some custom SQL transformations, you may need to edit those to the dialect of your target SQL. Don’t worry - Ajilius tells you where they are. If you use the built-in functions, Ajilius does everything for you. Q. Can Ajilius manage a multi-tenanted data warehouse environment? A. Yes - all part of the original design. Q. Which BI tools can I use with Ajilius? A. You can use any BI tool, but if you use Tableau, QlikView/QlikSense, or Yellowfin BI, the Ajilius will generate the metadata layer for you in seconds, potentially saving you days of effort! If you use Microsoft PowerBI or Excel, then Ajilius will create BI Views for you as well! Q. Since Ajilius creates scripts, can I edit those? A. You could, but we do not recommend it. Any changes made will be overwritten once you regenerate your scripts. It’s best to manage everything inside Ajilius and let it manage your scripts for you. There really ought to be no need to manually edit any script that Ajilius generates. Q. Does Ajilius auto-generate documentation? A. Yes. A fully-hyperlinked documentation file (with a full dependency diagram) is created on demand. Q. How does Ajilius support incremental (delta) loading? A. Ajilius has its own column control method, or you can use any external method (e.g. SQL Server Change Data Capture). Q. Can Ajilius support loading of CSV files? A. Yes. It also offers other data connectivity via JSON and JDBC. Ajilius comes bundled with over 70 data connectivity drivers from CData, so you can pull data in from just about any data source. Q. I am a software developer and want to offer a data warehouse as part of my solution. Can Ajilius help? A. Yes! Ajilius offers OEM licensing at a price that makes it a no-brainer to use. Call us to discuss your requirement. Q. Why is Ajilius so cheap? A. We are after market share - quickly. The price will go up, but if you buy now you can lock-in your price forever. Q. Can I become an Ajilius Reseller? A. Absolutely! Contact us today!